It’s a lot easier to self-manage a vacation home than it was 10 years ago. Online vacation rental companies like Airbnb, HomeAway, and VRBO make it less time-consuming by taking care of the processes that used to be manual. Updating calendars, managing rate tables, altering text, and uploading photos can be done with minimal effort. However, travelers and online platforms have high expectations of owners to respond in a very short time, answer all questions, and resolve any problems — both before and during the vacation. There are two ways to get all this done effectively. The first is to knuckle down, do it yourself, and become a multitasking wizard; the second is to engage a property management company and hand over all the onerous work to a third party. This two-part post explores both options and offers tips on deciding which one is right for you. Hundreds of thousands of owners manage their own rentals, and the majority of them use just one platform, such as Airbnb, to market and administer their bookings. While there is still a lot involved in the way of dealing with guest inquiries, much of the booking process is automated. You get notified when a guest books; the communication all takes place within the platform; the guest stays, and payment is transferred to your account less their small commission. Sometimes even the lodging taxes are taken care of and remitted to the appropriate authority on your behalf. For those owners wanting to put all their eggs in one basket, that’s a great solution, but it gets a little more complex when you want to advertise on other platforms or accept direct bookings via your own website. At this stage, self-management becomes more challenging as you’ll need to be on the ball with the different processes on each listing site. Coordinate all the different listings and ensure they’re all kept up to date and consistent. Update your own website and manage reservations, calendars, and payment processing. Create a social media strategy to get your message out regularly. Work with suppliers such as cleaners, maintenance providers, and any third parties who will manage in your absence. 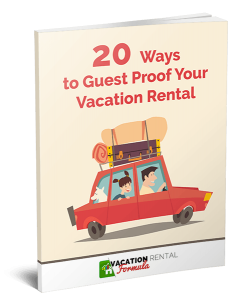 Remarket to guests who have booked via third parties, so they come to you directly the next time. Manage the required lodging tax requirements. Fortunately, there is a range of apps to help with many of these processes, from channel management resources that make listing on multiple sites simple and convenient, to complete reservation systems designed for independent owners. Then there are services that can look after the collection and remittance of lodging taxes. Buffer — manages all your social media channels from one place — schedule posts in advance. OneRooftop — offers a reservation system, channel manager, and website design all for one reasonable monthly fee. Active Campaign (A) — provides marketing automation with list management, email marketing, and newsletters. Avalara MyLodgeTax — determines, prepares, and remits hospitality and lodging taxes. PointCentral — enables smart home automation systems for remote home management. While self-management is not for everyone, if you’re organized and have the time to coordinate all these moving parts, it could be a good choice. However, once you’ve weighed the options, you may well decide you’d like a third party to manage all or part of your rental business for you. That opens up a new set of choices. From full-service management companies that will take care of every aspect of the process, to rental agencies that will do the marketing only while you look after the changeovers, there are many options for management. The growth of Airbnb has fueled a new breed of companies called host managers who describe themselves as third-party companies that assist with hosting responsibilities like key exchanges, cleanings, and listing management. Unlike conventional property managers, these organizations offer a laundry list of services from which you can pick and choose. With so much choice, it’s important to step back and think hard about what you really want to let go, and how much you want to budget for third-party management. My next post will explore the most important aspect of this decision-making process. For many owners, self-management is just too much of a time-consuming prospect. They prefer either a fully hands-off approach or a more flexible arrangement where they can hand over some aspects of the process to a third party and maintain a lesser involvement. Property management companies vary in the services they can offer, from a complete package that takes care of everything from furnishing and prepping a place for rental, to marketing on multiple channels and managing the end-to-end guest experience. Others may do a part of the process such as advertising, marketing, and communicating with guests, while you take care of the practical side of creating the magic for them. Before you decide on a property manager, make a list of the tasks you’re prepared to do, or want to do, and those you’d like to be done for you. This exercise alone can be very helpful in determining how much time you want to spend on the business. Property managers have two distinct types of customer: 1) the owner, for whom they deliver a range of services, and 2) the guest, for whom they supply information and reservation facilities. So, when you look for a company to represent your property, they should not only deal promptly with your queries and concerns but must also provide excellent service to the people that want to rent. If it doesn’t do that, you won’t get the customers you need to rent your property effectively. Good property managers pay equal attention to both owners and guests, and if they’re acting efficiently on your behalf, you should expect a high level of service from them. To get an idea of how the company manages their properties, read the reviews of homes in their portfolio on the popular listing sites. This can often give great insight into their management and customer service practices. Too many reviews that cite cleanliness or communication issues could indicate where problems might occur. On the other hand, if the management company is consistently being praised for their help and support to guests, you may have found a gem. You need to feel comfortable with the company you choose. It’s a personal thing. You have to be confident in their ability to match the right guests to your property and deal with issues that may arise. You want them to understand your concerns and help you every step of the way with recommendations based on a lot of experience. In short, it should just feel right. What are your opening hours and how do you respond to inquiries after hours? What is your target response time to inquiries? What sites will you list my property on? What social media channels are you most active in? How do you ensure we get the right guests for our property? Who do guests contact if they have a problem and how is that dealt with? 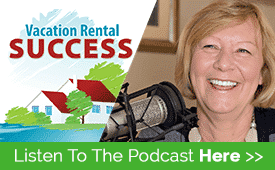 What local regulations apply to rentals and how do you comply with them? What short-term rental associations and organizations are you affiliated with? How and when do I get paid and are lodging taxes remitted on my behalf? Property manager rates vary, though not as widely as it may seem from a first glance at their rate sheets or websites. Some charge a flat commission rate that is payable only when the property is rented; a few have an initial setup fee and advertising charge, with a variable administration fee per week; and most charge guests a fee for booking. Commission rates vary from 12 to 40 percent and may depend on different variables. Doing your homework thoroughly will indicate where you’ll get the best value, but remember that the old adage also applies, “You get what you pay for.” Good marketing is expensive and what you get for an extra 1 or 2 percent may be maximum occupancy compared to empty weeks. The primary role of a rental agency is to market your property effectively and get maximum occupancy. Just listing your property on their website is no longer enough, and they need to have a wider marketing strategy that includes a number of advertising outlets. Although you can do it yourself, the benefits of using an agency with their marketing experience and breadth can often outweigh the commission costs. Ask if your property will be distributed to other marketing channels outside their website. When you contact property management companies, they’ll want to arrange a viewing of your property. Even if you’re inviting several agencies to view, expect them all to take photographs and carefully question you on the facilities and amenities available, as well as any restrictions you may want to impose. When you appoint the agency, they’ll have the photographs and information so will not need to revisit. Make sure the property is staged well inside and outside for both interior and exterior photographs. If the weather is poor, or the season prevents the best exterior shots from being taken, have a selection of your best photographs available for the agency representative to view. The best advice is often the simplest. Go with your gut. If you get a good feeling from the people you’re dealing with, you’ve checked out their experience, and you believe they can provide you with good value for the commission fee as well as good occupancy, then don’t overthink it. Most agencies offer very similar services at a similar fee, so your decision may be based more on how you feel than financial factors.